Zomodo’s Black Pearl collection has now arrived in Canada and is starting to be displayed in our distributor showrooms! PearlArc™ technology utilizes an innovative colour coating process combined with a scratch-resistant and anti-fingerprint treatment. 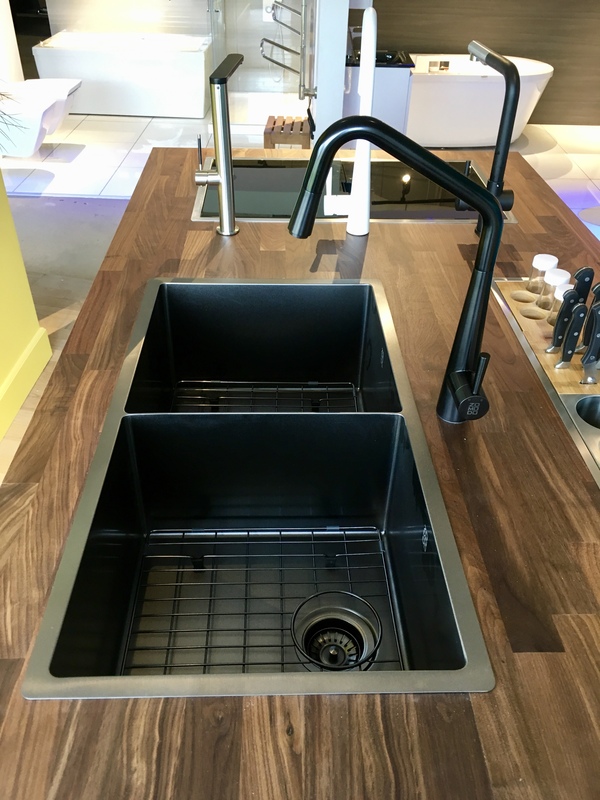 This innovative collection of sinks and faucets will match your black stainless steel appliances perfectly! 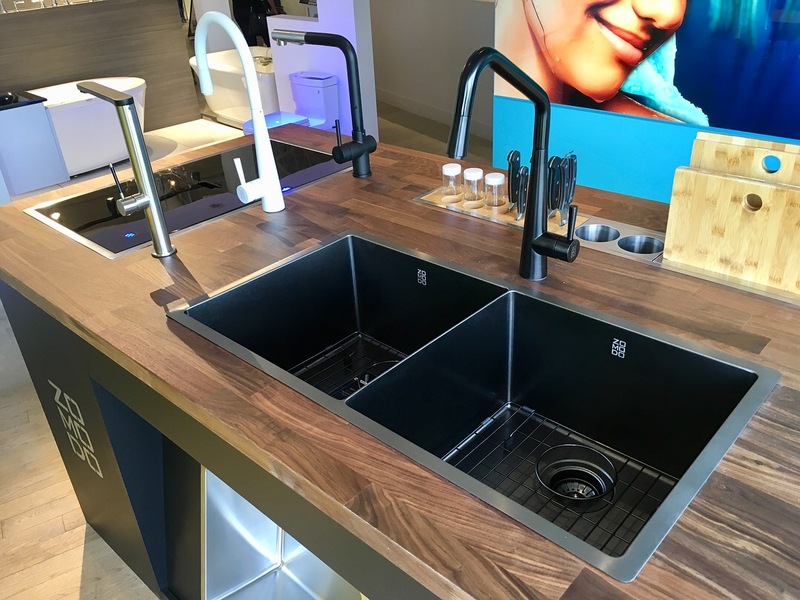 The Black Pearl Collection … for beautiful kitchens.